In the past few weeks, I have been working with my publisher, marketing director and graphics designer to come up with a great book cover for my upcoming novel "Nothing Comes Close." The designer produced two great covers, and I was delighted with his work. The problem is, I can't choose which one I prefer! So I asked a few friends for their opinions and the votes were pretty much split down the middle. More confused than ever, I asked my friends on my Facebook Page, and again, the votes were pretty much even. So I thought, maybe I should ask my blog friends - what do you think? Some of you may have followed the series, read the excerpt or even received the free giveaway copies of the book. Which cover do you prefer, and why? I would really appreciate your response! I would go for the couple painting! Thanks Myne! I think so too. 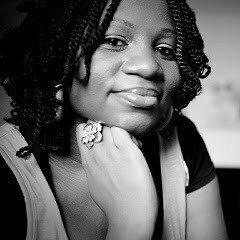 Thanks Kemi, why do you prefer the Sunset cover? Thanks Shorty! Now this is getting me confused. every time I think one cover is winning, I get votes for the other one! Why do you prefer the Sunset cover? Hey, I just found this blog so I'm new to your writing but I figured I could give you my opinion as a person who reads books. I think the painting couple is the better one personally, because it conveys something to me, whereas the sunset seems to me a somewhat generic type of cover. The painting couple are relatable, they're in a setting anyone can picture themselves in. I like the one where the couple are painting. It's somewhat different from the norm. Thanks for your comment. I like that one too. Thanks babe! My preference too. I think I'll read the excerpt first then get back to you. I like them both but it'd be interesting to know what the books about. Well done! Keep it up, I'm very inspired! New to Чυя blog..Found Ɣ☺ΰ on twitter..Followed Ɣ☺ΰ down here cos α̇̇̇̊♏ a̶̲̥̅ fan of literature(writer,reader and anything inbetween)...I think I'd go with †ђξ painting couple...It's a̶̲̥̅ unique concept and more attractive. I prefer the sunset couple, it brings this awareness of mystery and suspense. I prefer the sunset couple too. 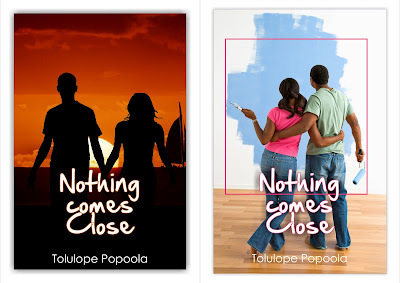 It seems to gives voice to the intrigues, mystery surrounding Wole's past. Would have gone with the 'painting couple' but we all know life isn't all that rosy after all, the sunset couple depicts something better (the dawn of a new day after a sunset) is the offing. More like the best is yet to come. The painting couple looks too common and it's easy to interpret they are lovers. 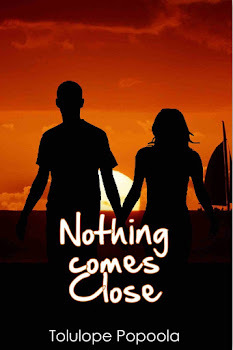 I believe 'Nothing Comes Close' is more than a love story; it is a story about the importance of openness and trust in relationships, the triumph of love over obstacles tossed in its way and as such the cover should reflect this.Best of luck as you make your final decision. Thanks so much for your insightful comment. Really appreciate it! Wow. Both are beautiful...the sunset is suspense-filled- true-but the colourful one's full of... possibilities-and is quite attractive. You have a wonderful story to tell, and so I believe your target audience would be more attracted to the 'painting', rather than the sunset (been there, done that!). Opinion is subjective, anyway. I'll go for the painting couple. Thanks for your feedback, I appreciate it. This is such a close tie, that I'm getting worried! Honestly, I prefer the painting cover...its more catchy and attractive. It will make me pick it up instantly. The sunset cover is also great, but I think we have many covers like that already. "Painting Couple' is the befitting for the title.